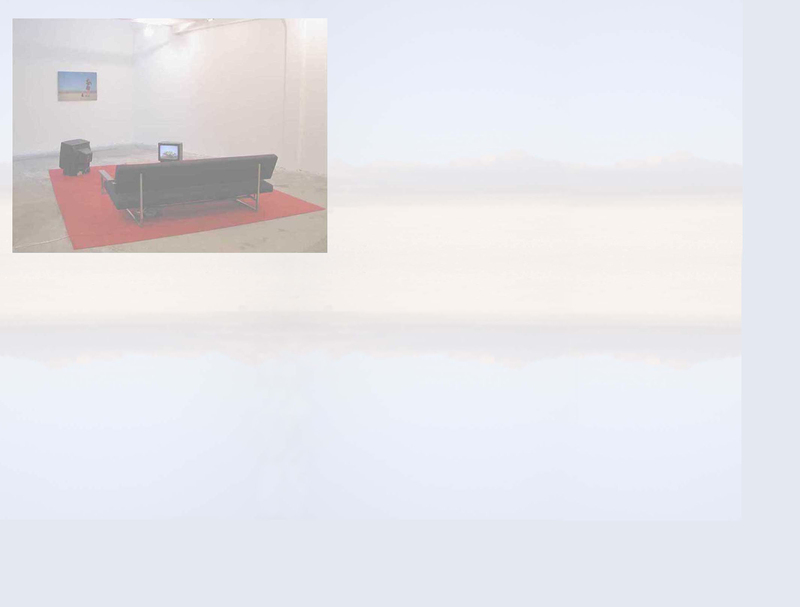 Video installation consisting of sofa, carpet, coffee table and 3 monitors. duration: 1.54 min. set in loop.